Regatta, hosted by San Diego Yacht Club, features Beneteau, Farr 40, J/70 and Pac52 classes. 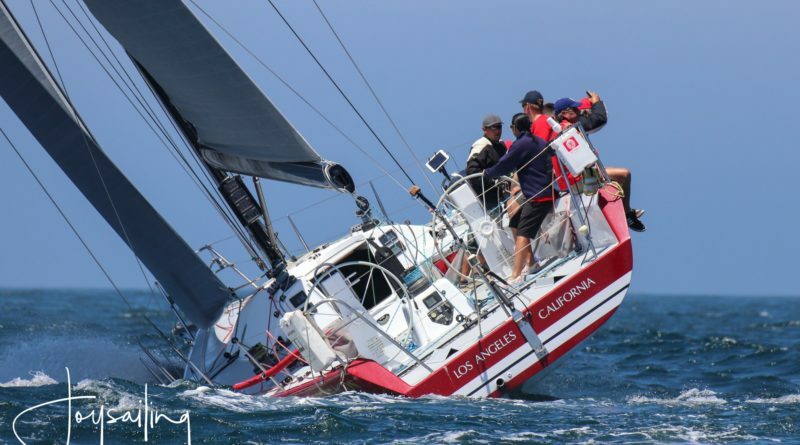 SAN DIEGO—Several yacht classes will take to the water during Cinco de Mayo weekend as San Diego Yacht Club will host the 2019 Yachting Cup, May 3-5. Yachts registered for this year’s regatta include Beneteau Firsts (30, 36.7 and 40.7), Farr 40, J-Series (70, 105 and 120), Pac52 and Schock (35 and Harbor 20). The entry list for this year’s Yachting Cup features some of the biggest names on the water, such as Roy Disney’s Pyewacket (Andrews 70, San Diego YC), Mick Shlens’ Blade 2 (Farr 40, Cabrillo Beach/King Harbor yacht clubs), Mike Gridley’s Relentless (J/70, Lake Pend Oreille Yacht Club) and Austin & Gwen Fragomen’s Interlodge VI (Pac52, New York Yacht Club). Boats in either a one-design fleet or handicap class are eligible to participate in the 2019 Yachting Cup. Entries must be submitted by 5 p.m. on April 30. Entry fees range from $75-$350 before April 22 and $125-$450 between April 22 and 30. – Larger than 50 feet: $350 or $450. Boats competing in the Yachting Cup will sail in the Coronado Roads and South Bay areas, though alternate areas could be designated depending upon weather conditions. Racing begins at 11:30 a.m. on both days of the regatta (May 4 and 5); San Diego YC will host the Yacht Cup Regatta Party after racing on May 4 and an awards ceremony after racing on May 5. San Diego YC will also host the Ton Cup on May 3, as a separate event. Entry into the Ton Cup is included with the Yachting Cup fee. Scores from the Ton Cup are not factored into the Yachting Cup’s results. Contact Tim Fuller, San Diego YC’s Yacht Cup chair, for more information about the regatta; he can be reached at 951-551-0607 or tfuller5513@gmail.com. Free moorings are available at San Diego YC, May 1-8; those seeking a free mooring must contact Dockmaster Ty Olsen via email (dockmaster@sdyc.org) before April 15 to ensure space. More information is available online at www.yachtingcup.com.